The reason Ghanaians are not enjoying a drastic fall in fuel prices is because taxes on fuel constitute about 70% of the cost of fuel in Ghana today. Each tax component and margins also attracts a 17.5% Value Added Tax (VAT), which is borne by the consumer. 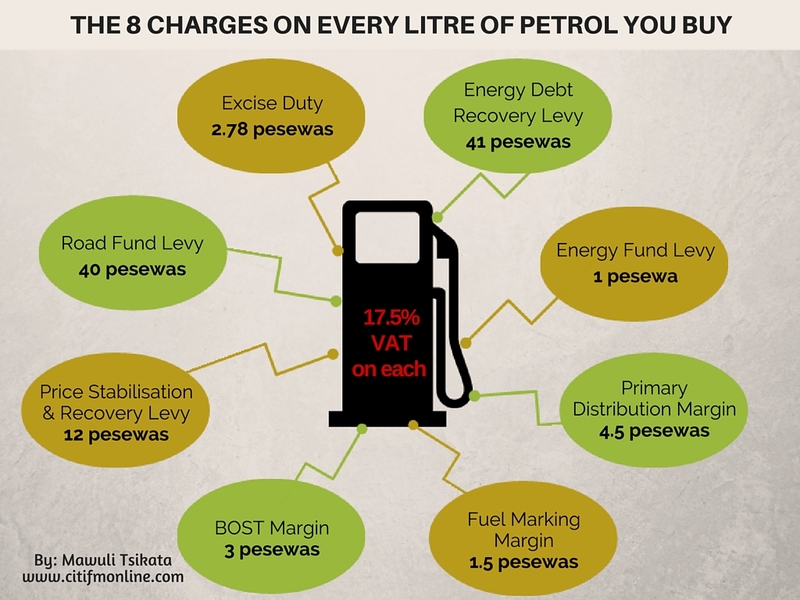 The infographic below shows a breakdown of the various components and how much is charged.